Edmund Husserl, the pioneer of the discipline of phenomenology, and one of the most influential philosophers of the 20th century credited for his significant contributions to the fields of philosophy, linguistics, sociology and cognitive psychology, was born as Edmund Gustav Albrecht Husserl on April 8, 1859, in Prossnitz, Moravia. Edmund hailed from a traditional Jewish family, and throughout his childhood, his family was constantly on the move. At the age of 10, he began his German classical education at the Realgymnasium in Vienna. Later, he was transferred to the Staatsgymnasium in Olmutz, for his secondary education. Edmund enrolled in university at Leipzig, where he pursued an education in Mathematics, physics and philosophy, and also took several courses in astronomy and optics. He received his Ph.D. in 1883, after conducting a doctoral dissertation on the calculus of variations. Husserl began his professional career in Berlin by accepting a teaching post, however his engrossment with the teachings of Franz Brentano forced him to move back to Vienna in 1884. Franz Brentano’s lectures, particularly his concept of intent, had a profound influence on Husserl, and they inspired him to educate himself in the disciplines of psychology and philosophy. In 1886, Edmund moved to Halle, and devoted the next year educating himself in psychology. He composed his Habilitationsschrift, entitled ‘The Philosophy of Arithmetic’. During this period, he converted to Christianity and got married to Malvine Charlotte Steinschneider, the couple had three children. Husserl was appointed as the Privatdozent of Halle, and he used his free time to compose some of his major works on phenomenology, including ‘Logische Untersuchungen’ (Logical investigations), that provides an introduction into the subject matter of phenomenology. 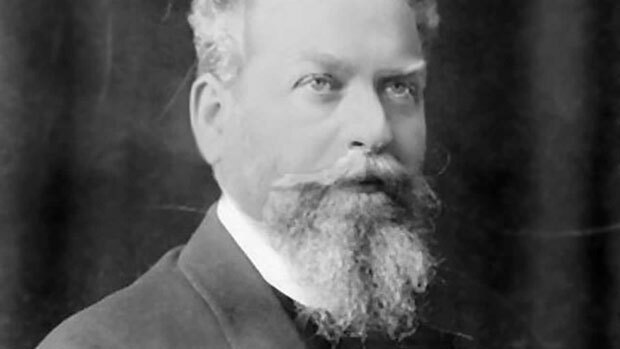 In 1901, Husserl began his 16 year long tenure at the University of Gottingen, and during this period, he formulated his various theories on phenomenology, establishing it as a specific discipline devoted to describe events and things without employing metaphysical and theoretical speculations. His courses began attracting countless students. In 1913, he published his widely lauded and innovative discourse, entitled ‘Ideas: A General Introduction to Pure Phenomenology’, an introduction to his concept of phenomenological reduction that provides perceptive tools designed for the contemplation and reflection of objects while conducting observations. Husserl proposed that the method of phenomenological reduction aids in removing all biases of real existence, and facilitates the researcher in concentrating on the “bracketing of existence”. Husserl conducted various studies to establish an understanding of the mental structures that are responsible for the cognitive abilities of perceptions and thoughts, and he concluded his research upon discovering that an object of contemplation is necessary for consciousness. The advent of the WWI caused various disruptions in Husserl’s academic career as he began losing most of his students to the war, and tragedy struck his life in 1916, when his son was killed while fighting at the warfront. Edmund was devastated, and he spent a year in mourning, ignoring his professional career completely. However, in the fall of 1916, he was appointed as a Professor at Freiburg, in Beisgau. He authored several highly acclaimed works during this period, some of which were published after his death, including ‘Cartesian Meditations’ where Husserl explains the influence of individual consciousness over philosophy, history and society. Edmund Husserl served as a professor at Freiburg until his death resulting from pleurisy in 1938. He has made several remarkably innovative literary contributions to the academic world, his most popular publications include, ‘Phenomenology of Inner Time-Consciousness’, ‘Formal and Transcendental Logic’ and ‘Experience and Judgment’.